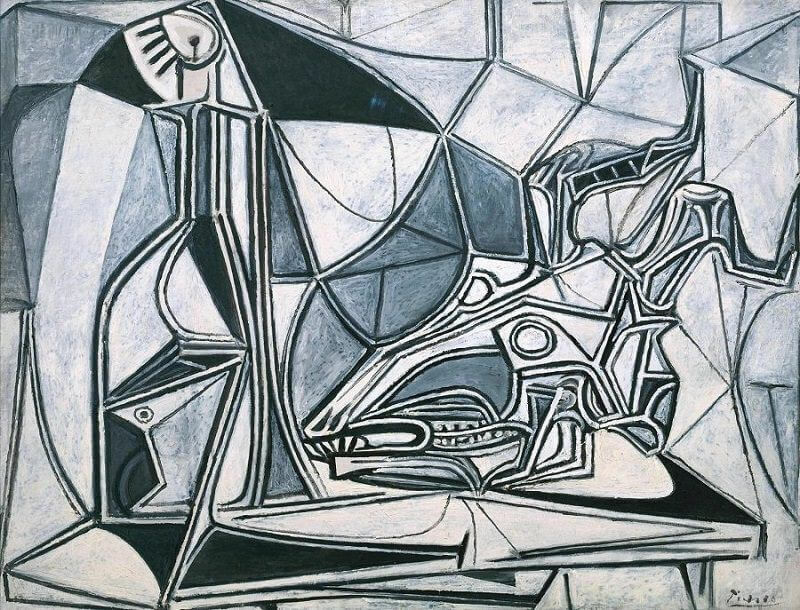 After going through and suffering from the Second World War, Picasso made a number of monochromatic works concerned with outrages in the Korean War. He also painted four versions of this still-life subject, whose inspiration seems to have been the execution of the Communist partisan Nikos Beloyannis by the Greek government. The grey tones establish the sombre mood and solemn temperament, while the candle and skull are conventional indications of death. His willingness to take a moral stand reinforced Picasso's status as the most influential artist of his generation.